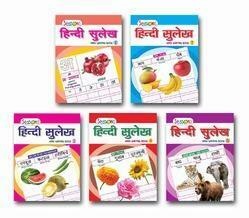 Manufacturer & Distributor of Hindi Series Writing Books & Hindi Writing Books. Our product range also comprises of Activity Book, Book Distributors and Children Educational Books. A series of 5 Books. Looking for Hindi Series Writing Books ?